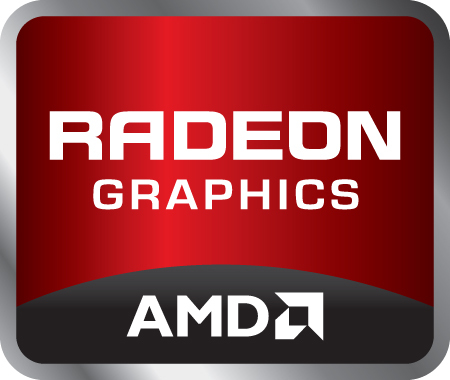 The AMD Radeon HD 7610M (sometimes also called AMD Radeon HD 7610M) is a low-end middle class graphics card for laptops in 2011. It is based on the same chip as the Radeon HD 6630M but features only 5 SIMD blocks and therefore just 400 shader units. Furthermore, the clock rate is reduced to 450 MHz. It is still built in 40nm and supports DirectX 11. The 400 Stream processors are still based on the 5D architecture similar to the 5000 series. Therefore, the number of shaders is not comparable to the 1D cores of current Nvidia GPUs. The Tessellation performance should be improved (like the desktop 6800 series) with the new cards. The Stream processors can be used with DirectX 11, OpenGL 4.1, DirectCompute 11 and OpenCL. With the later two the cores can also be used for general computations like transcoding videos. The 3D performance is slightly below the old Radeon HD 6530M due to the slow clock rate and the 400 shaders. Therefore, demanding games of 2011 like Battlefield 3 or Anno 2070 are running fluently only in low detail settings. Games with less demanding 3D engines like CoD MW3 should also run in high details. Furthermore, the HD 7600M series integrates a HD audio controller to transmit HD Audio (TrueHD or DTS Master Audio) over HDMI and DisplayPort (e.g. for Blu-Ray videos).